Masthead equipment coaxial cable 12v power feed unit. 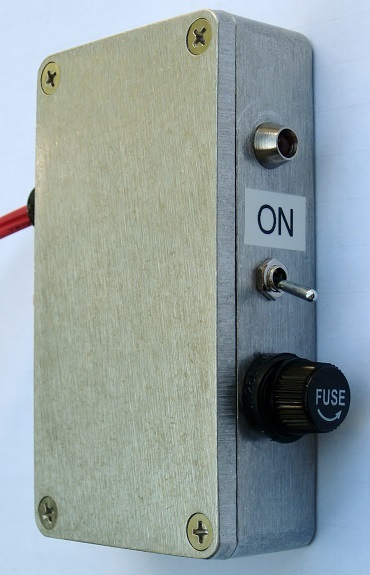 The masthead equipment coaxial cable 12v power feed unit is to provide an approximately 12 volt supply for equipment at the top of the mast via the connecting coax cable. 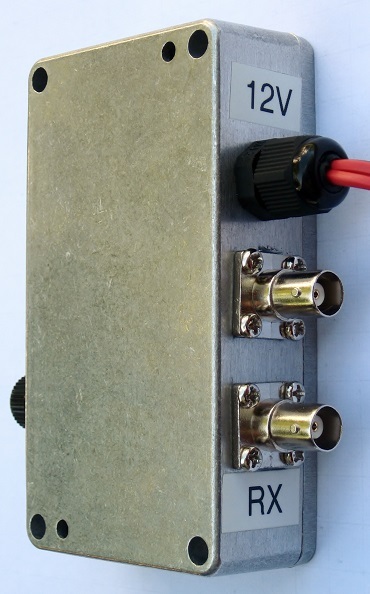 The circuit injects a DC voltage into station end of the coax cable and allowing the RF to pass un-attenuated to the receiver while blocking the DC to the receiver. 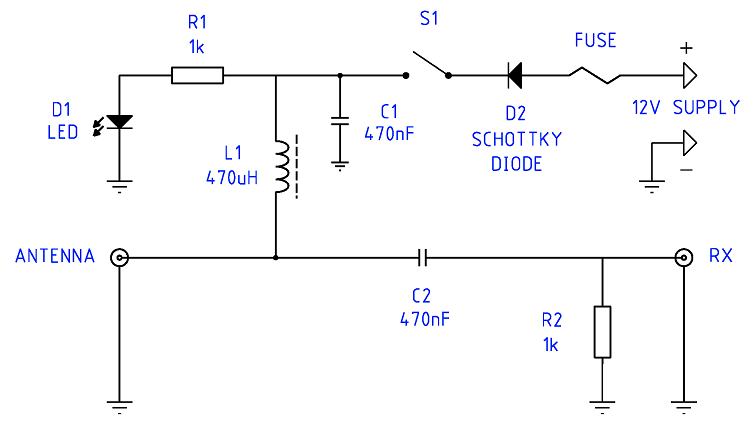 The circuit also blocks RF from passing into the DC supply system. Fig 1 Masthead coax cable power feed unit schematic. Fig 2 Component detail list. Photo 1 The masthead equipment coaxial cable 12v power feed unit viewed from the front. Photo 2 The masthead equipment coaxial cable 12v power feed unit viewed from the rear. The effect on mast end voltage from the electrical load of the equipment at the masthead end of the coax has been calculated in the below graphs for coax cable lengths from 5m to 30m at a variety of loads. Loads of up to 500mA for reasonable lengths of RG58 coax will deliver a sufficient supply voltage. 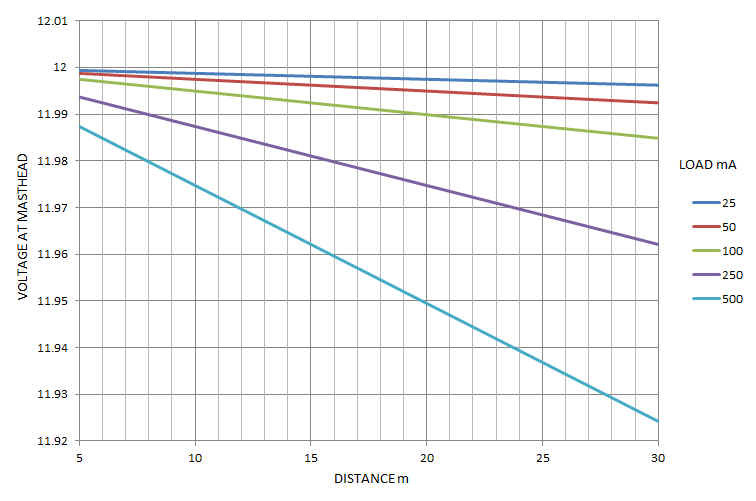 Fig 3 The chart shows the voltage at the masthead end of lengths of RG58 coax against various loads. 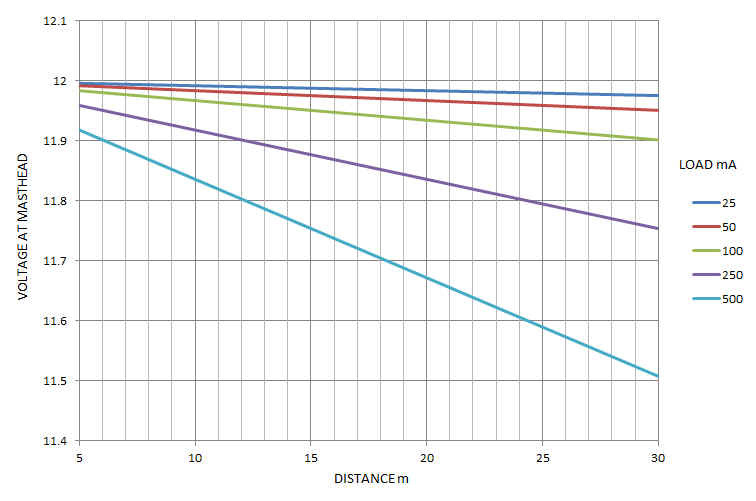 Fig 4 The chart shows the voltage at the masthead end of lengths of RG213 coax against various loads.